The Embassy of Japan in the Philippines is now accepting entries for the 12th Japan International MANGA Award. To join, interested participants must submit a completed entry form and two hard copies of their original MANGA work composed of more than 16 pages. Include page numbers on every page of the printed material. Also, an English or Japanese translation must be provided if the MANGA is written in the artist’s local language - this means comics written in Filipino will be accepted! Strictly one entry per applicant. Note that only work produced within the last three years (2015-2018) will be accepted. Both published and unpublished works may be submitted. *Applicants may also submit their entries in-person at the JICC Library. All submitted works will not be returned to applicants. They may be exhibited and used for promotional or other purposes as deemed appropriate by the Twelfth Japan International MANGA Award Committee, which will handle the selection procedures. The best MANGA entry of the year will be given the Gold Award. Silver Awards will be given to three other entries. Gold and Silver Award winners will be invited to Japan for a period of 10 days to attend an awarding ceremony, which will be held around February 2019, and meet fellow manga art creators from around the world. Entries will be accepted until Wednesday, June 6, 2018. 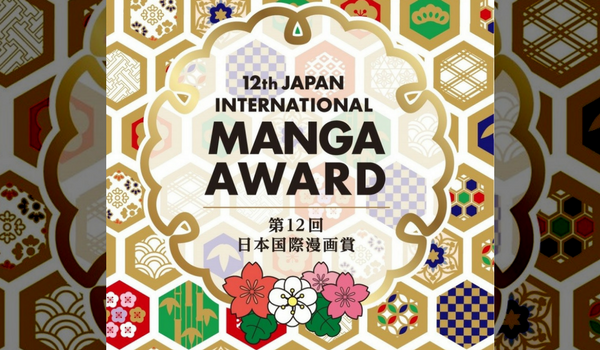 The Japan International MANGA Award was introduced in May 2007 to help further spread MANGA and Japanese culture overseas and promote international cultural exchanges through MANGA art. View last year's winners here.